Thieves Dentarome Plus Toothpaste contains ingredients such as thymol and eucalyptol that are found in clove and thyme essential oils, along with gentle, odor-absorbing baking soda. Never brush your teeth with sodium laurel sulfate and toxic chemicals again! Discover a new level of clean with Thieves Dentarome Plus Toothpaste. Naturally derived ingredients such as baking soda and Thieves essential oil blend gently lift stains for brilliantly clean teeth. 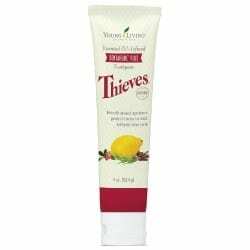 Thieves® Dentarome Plus Toothpaste contains ingredients such as thymol and eucalyptol essential oils that are found in clove and thyme essential oils, that add to the refreshing flavor; along with gentle, odor-absorbing baking soda.